Home Hair loss treatments What Shampoo Is Good For Greasy Hair? What Shampoo Is Good For Greasy Hair? The human body produces sebum with the primary role of moisturizing the body and scalp. When your hair is oily, you simply have more than the needed quantity of sebum in your hair. 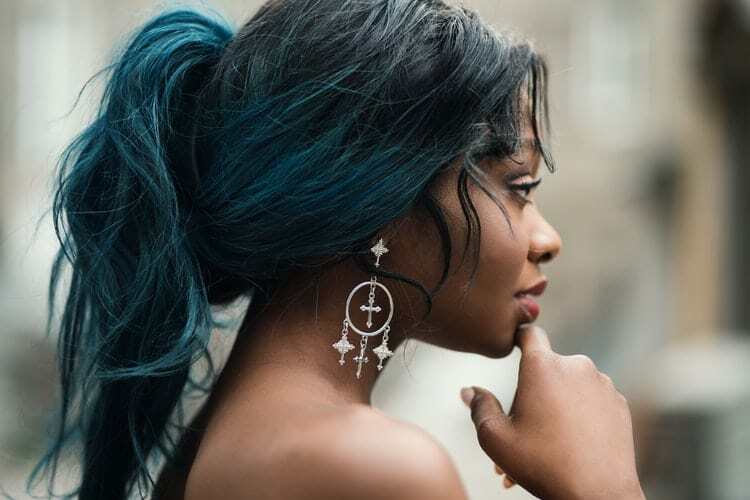 This can pose some challenges such as finding it difficult to maintain your hair because the maintenance that is supposed to be fun will suddenly become a chore. However, you can reduce the stress of maintaining oily hair by using some shampoos that are specially formulated to address that problem and make your hair look good and healthy. This article gives you an insight into the best shampoos that will assist you in managing your greasy hair effortlessly. While a good number of these shampoos are regular shampoos, it is noteworthy that some dry shampoos have also proven very effective in handling greasy hair. So if you’ve been searching for what shampoo is good for greasy hair, this post is for you. That said, lets quickly look at the various greasy hair shampoos that are both effective and affordable. Shampoo for Oily Hair & Oily Scalp ranks high among the best shampoos that can assist you to get over your greasy hair. 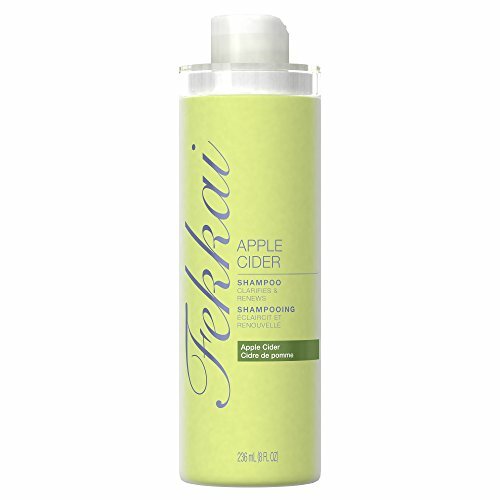 Fekkai Apple Cider Shampoo ensures that you can remove excess oil from your hair without actually drying it out. 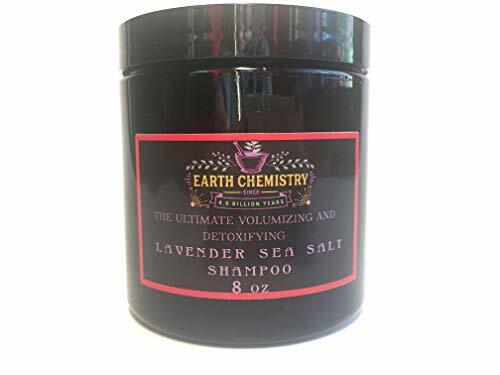 Earth Chemistry Lavender Volumizing Sea Salt Shampoo proves to be a reliable shampoo that can effectively make your hair grease-free and dry without any side effect. Redken Clean Maniac Micellar Clean Touch Shampoo is the fourth shampoo on this list. It is a fantastic product that will restore silkiness to your hair in addition to making it shine and grease-free. 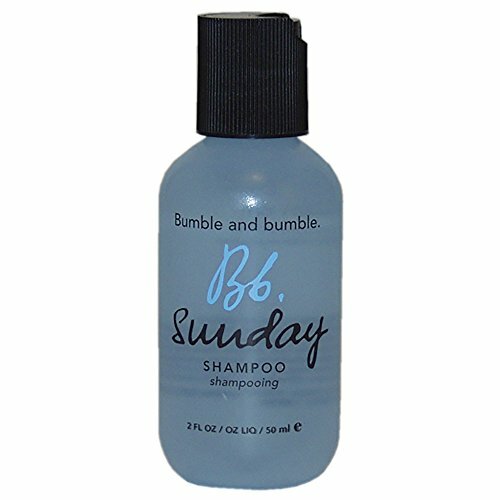 Bumble and Bumble Sunday Shampoo deserve mention here. This shampoo will remove any build up oil and make your hair look healthy and less oily as well. Klorane Dry Shampoo is another shampoo with the ability to remove grease from your hair and make it absolutely and attractive. The dry shampoo rids hair of oil, dirt, and odor. It simply brings out the beauty in your hair. This shampoo will remove any grease or oil that has built up on your scalp over the years. It contains lemon essential oil that is renowned for its ability to balance the pH in hair and skin as well as regulate the sebum, the oil found in the scalp. 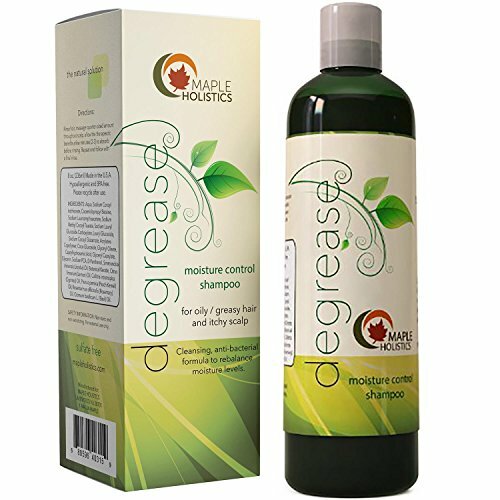 The Degrease shampoo contains Rosemary Oil, Lemon Oil, Basil Oil, and Peach Kernel Oil. These are potent herbs and fruit extracts that will reduce the sebum as well as ensure that your hair is soft, clean, and voluminous. Use the shampoo for 10 consecutive days to enable it to get to the root of the problem and remove whatever causes the oily hair. You will experience the therapeutic effect of the shampoo ion your hair. It gives you clean and fresh hair. One of the best shampoos from Fekkai, this apple cider-infused shampoo will give you the desired result by keeping your hair clean of excess oil. Its list of amazing and active ingredients will support your quest for a shampoo that will keep your hair dry always. Some of its active ingredients that are responsible for its efficacy include Cocamide MEA, Sodium Laureth Sulfate, Sodium chloride, sodium citrate, sodium benzoate, citric acid, Yellow 5, and Water/AEU, among other ingredients. Pear and fresh apple are added to the ingredients to give it an appealing smell so that the shampoo will go beyond getting rid of excess oil only to making your hair smell good and attractive. It also contains silicone-free cleanser that removes unnecessary build up that may be caused by too much oil in the hair. Thus, your hair will always be dry and smell good rather than being unnecessarily greasy and unattractive. The good news about this shampoo is that is quite affordable even to an average income earner. Earth Chemistry Lavender is an earth-friendly and organic shampoo with sulfate-free herbal ingredients that are mined some hundreds of feet below the earth surface. Its main ingredients such as trace minerals, essential oils, magnesium, calcium, and potassium will work together to keep your hair dry and healthy and spare you the stress of dealing with an oily hair regularly. You only need a small amount of the ultra concentrated shampoo to get your hair back to normal without having to be unduly concerned about an oily hair. In order to ensure that you don’t have to struggle with any adverse effect, the natural shampoo is devoid of silicone, sulfates, alcohol, parabens, chemicals, dyes, and phthalates. This shampoo leverages the power inherent in micellar water to remove excess oil from the hair and scalp of the user. In order to ensure the complete removal of the excess oil, it first soaks the oil before removing it. The shampoo is so gentle that it can be used on a wide range of hair such as color-treated hair and other types of hair you can think of. The shampoo doesn’t contain heavy perfumes. Instead, an odor-neutralizing technology is used to make the shampoo smell very good. The shampoo is also sulfate-free. Although sulfate is known for its ability to make a shampoo lather well, it can also cause irritation for sensitive skin and any hair that is excessively dry. With its efficacy and no side effects, the shampoo remains a product you can easily afford. A great shampoo for oily hair! Bumble and Bumble is formulated to assist with the moisturizing and conditioning of the hair. This will remove oil from the hair and make it shining and smooth. If you don’t have the time for daily hair washing, give your hair the needed deep cleaning once in a while and wash as the once oily hairs gradually become reasonably dry and healthy. The fantastic ingredients that contribute to this shampoo’s efficacy include Rosemary leaf extract, sodium laureth sulfate, ginseng root extract, sage leaf extract, hydroxyethyl cocamide, and other great ingredients. In addition to getting rid of oil from the hair, it also removes the buildup of hard water and leftover from styling products, residues that will have a negative impact on your hair, making it feel dull, limp, and greasy. Instead, the ingredients soothe the skin, stimulate the scalp, and will eventually remove all impurities from the hair, making it sparkling clean and dry. That is what you will get for a bottle of this shampoo that is relatively cheap. This is an award-winning dry shampoo with natural ingredients that add texture and volume to your hair after removing oil from the hair. It is specifically manufactured to be suitable for all types of hair and sensitive scalps. The Oat milk added to the shampoo makes it an effective hair cleaner, even in the absence of water. The Oat milk is organically harvested to soothe your scalp and hair while getting rid of the excess oil. It is also free of paraben, chloride, and sulfate, which allow it to add texture and volume to your hair while its rice and corn starches add to the overall efficacy by making the shampoo a powerful cleaning solution. Greasy hair can be quite challenging to handle. Think about the thought of dealing with oily hair every day of your life. That can be a bit embarrassing and time-consuming. You don’t have to continually put up with this problem; you can actually overcome it with the right shampoo. Get one of the best shampoos for greasy hair listed above, use it according to the instructions and you will get the desired result without spending a fortune on ineffective and expensive products.